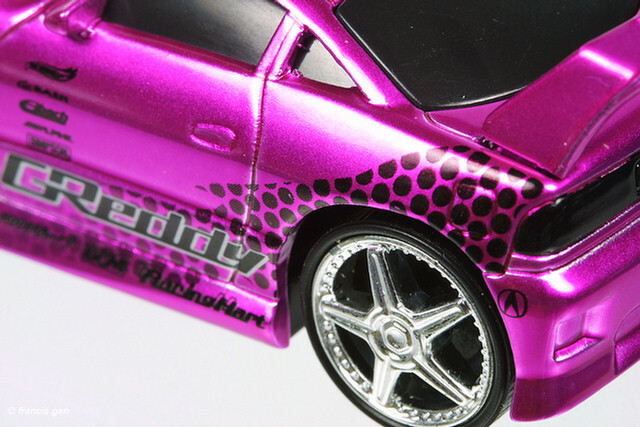 Hot Wheels released 1:50 caricature models of the '01 Acura Integra R, '99 Honda Civic Si (2 door coupe). 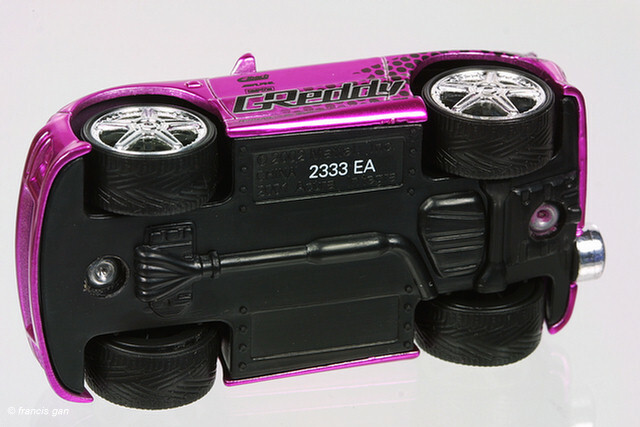 Both models are decorated with aftermarket manufacturer decals. 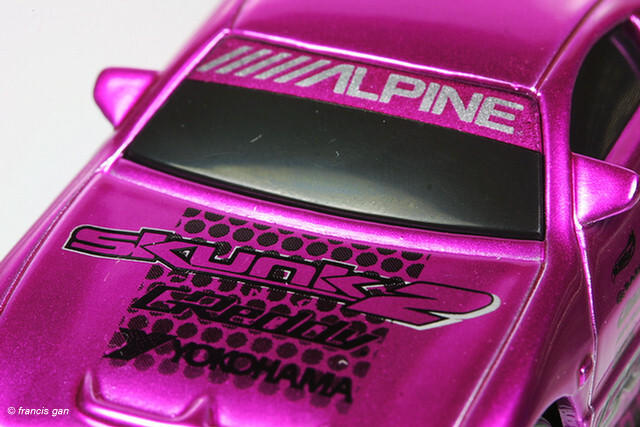 The models come in a "Hot Tunerz" carded blister pack with the car resting on a silver based that is shaped like the front of a car. 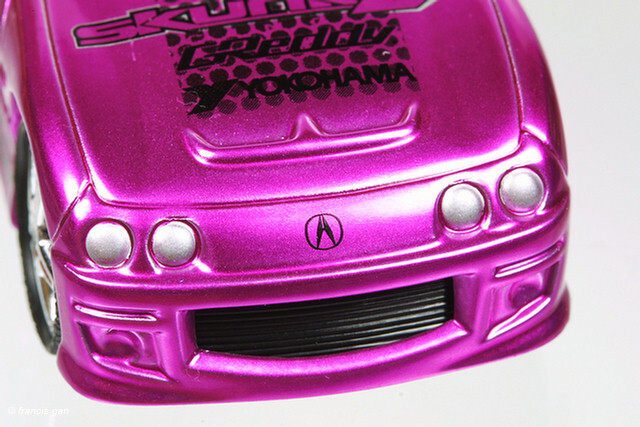 The Integra R came in white ("Greddy"), bronze ("Signal"), yellow ("Signal") and in 2004 in purple chrome (Greddy). The orange with a matching card back. The yellow - though the back of the card shows the orange car. 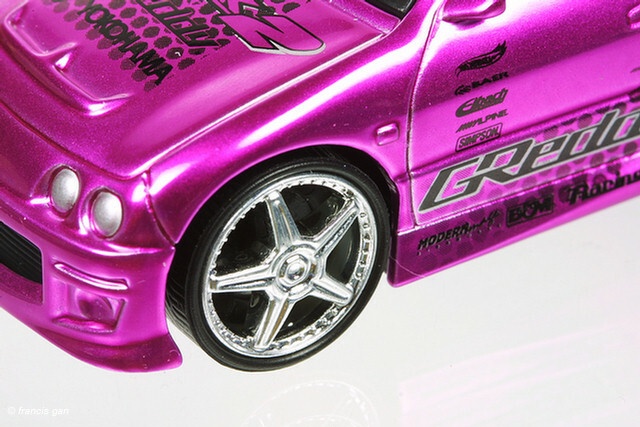 The purple chrome released in 2004 though the card back shows a white car. In 2004, the Acura RSX was released in white with a Magnaflow decal in the blister pack.